Hello from the sunny but cold MidWest. We are glad and grateful to be today’s Grommet, and introduce you to Berryplus, laundry soap that grows on trees. Berryplus is the eco-effective laundry soap that cleans and softens, naturally and gently even for the most sensitive skin and fabrics. Thanks for being with us, and ask away. Hi all. Thanks to all my friends at Daily Grommet for a great video introduction! How does this work where the water is "hard"? @Ellen Feibel Hi Ellen. Thanks for the question. Berryplus works wonderfully well in hard and soft water. Jamie--would you use the same amount on delicate clothing? Also, for stains, can you make a spray solution with part water, or would you "dropper" it directly on the stain? @Tricia Shedeed Hi Tricia. If you are washing delicates in the sink, you can get away with using only half the recommended amount - so 1 squirt or about 1.5 mls - because there's so much less water. As for treating stains, you can use a few drops from the dropper or pour some into a spray top bottle and spray away. And thanks for the suggestion of the spray top for stain removal! Is this product safe to use in washing machines requiring HE detergents? Does it have directions for the washers that you are supposed to use the HE detergents in? We that own those washers are supposed to not use as much 'regular' detergent because it suds too much. If you answer this and the other's questions I would love to try this product. My daughter-in-law will receive some also - I'll share with her. Sounds terrific! Does this Berryplus leave clothes soft? @ Mary Hi Mary. 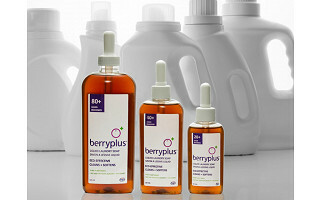 Yes, Berryplus cleans and softens clothes, naturally and safely even for those with the most sensitive skin. So please do not use another softening product, as the berries from which we make Berryplus soften too, making it both an eco-effective and cost-effective way to get your clothes clean AND soft. The large bottle handles 80 loads. What size loads? Extra large, large, medium,or small? @ Joy Hi Joy. Great question. If you have a really large or dirty load, feel free to use another squirt or m, and/or pre-treat stains with a few extra drops of Berryplus. Otherwise, you will get great results on all other loads with only 2 squirts or 2.5-3 mls. In calculating the number of loads per bottle, we figured that you would do extra large/dirty loads about 1/2 of the time. Can Berryplus be used on HE washers? @ GP Hi GP. For sure, Berryplus was made for HE front loading washers, but can also be used with great results in top loaders or the sink/bathtub for those doing a quick hand wash on the go. @Jamie Gold GP, the key to using your HE machine properly is to use the right type and amount of detergent, as too much or the wrong type will leave a residue of gunk that builds up in your machine and clothes over time. But because Berryplus is water based and only made from wholesome ingredients, it will never leave any residue. In fact, our basement research suggests that using Berryplus can even help rinse away residue left behind by other detergents too. @ GP Did you not read all of the above answers to your same question?! My HE washer is designed to use powdered detergent. How do I add the liquid to my washer? @ Elizabeth Hi Elizabeth. Interesting because my HE machine can use both powder or liquid. Your machine should have a drip tray for both powder and liquid. If it does not, squirt some Berryplus into the powder drip tray, choose your settings and press 'GO'. Should work, but please let me know if you have any troubles. Thank you for your PROMPT answer! I'm amazed someone 'got back' to me so fast. I read your grommet questions and browsed the site a few minutes and, just for grins and giggles, went back to your grommet and THERE WAS MY ANSWER! Talk about customer service! With someone this on-the-ball and environmentally conscious, that creates a product as commonly used as laundry soap, how could I not try it! Sold! @ Pat Davis Hi again, Pat. Thanks back. Customer service is what we do here, and frankly this is kinda fun too interacting with everyone. Cheers, and please let us know what you think after doign a few loads. We'd like to echo Jamie's happiness with your comment on customer service. We pride ourselves on being able to engage with our community in a valuable way such as this comment board. We feel lucky that every day, we are able to gather feedback on the Grommets and provide key insight for us and our partners. Be sure to let us know how you like today's Grommet. Happy Shopping! 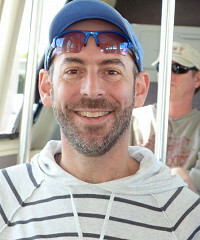 @Amy Bernstein And a shout-out to you folks at Daily Grommet too. You've been wonderful to work with! Have read great reviews of product but hesitant to purchase because of plastic packaging.....any light to shed on this? @lorrie Hi Lorrie. Great question, and glad that people are saying nice things about Berryplus. Our bottles are made from recyclable plastic, although we are looking at other bio-based materials for future runs. So if you have any suggestions about what you'd like to see from us, please let us know. 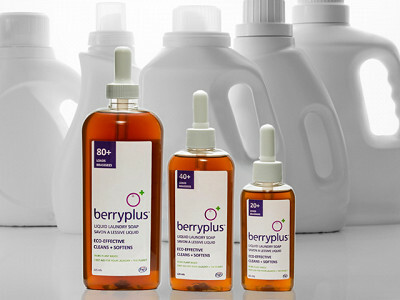 But also remember that Berryplus is super-concentrated, so we are using much less plastic than other detergents. That said, we are always looking to reduce our use of plastics and all resources for that matter. @lorrie I'd just like to add that shipping glass is more expensive due to the weight and often plastic is used to protect the glass, so it doesn't really help the environment much if any. As long as the plastic is BPA free, as far as we know, it's safe to use, and, you can always transfer to glass when you receive it. @Jamie Gold And just confirmed that our bottles and dropper tops are both BPA free! I use soap berries in my HE washer and like them. Liquid would be convenient, but I'm concerned about your preservatives. Potassium Sorbate is listed as a skin and eye irritant and Sodium benzoate is listed as a known carcinogen. Doesn't sound healthy for my clothes or me. @Jamie Gold Thanks, that makes a big difference. I will add (since I started this) that Potassium Sorbate is listed as an irritant comparable to salt. I'm good with it! Thanks for catching that mistake for us. We do indeed have prior information listed on our site and are removing that ingredient from our description as we speak. This is why we love our community, they help keep us on our toes. Thanks again. @Amy Bernstein No worries, all good great even! I just wanted to comment regarding the packaging. I have been using Seventh Generations 4x laundry detergent which uses a recyclable plastic bag to contain the detergent and a compostable cardboard shell which serves as the "bottle". I thought it might be an option to look into. Best of luck and thanks for providing an environmentally friendly laundry option. can't wait to try it. @ Lisa Hi Lisa, thanks for the feedback. Yes, Seventh Gen is doing great things with their packaging, and if we are lucky enough to gain their type of traction to afford custom packaging we will happily do so. I purchased this for my sons in college when it first came out. It is terrific and they loved the small capsules it used to come in. I recommend this for everyone! Can you give us any info on the source of your berries? Do you have a "soap berry farm" here in the US or do you import them? If your product takes off (which I hope it does!) what impact do you foresee on the environment from the agricultural perspective? @Holly Barlow Hi Holly. Another great question. Soapberries grow wild pretty much everywhere. However, our berries come from Nepal and India where they grow wild and on plantations. We import our berries because these berries give us more and better quality saponin, the active cleaning ingredient from soapberries, and there is a readily available supply as they have been used there for ages. As for what happens if Berryplus takes off, from your mouth to G-d's ears, so to speak :) That said, new trees are being planted, and we are working with people on the ground there to ensure fair treatment of those involved in the supply chain as well as good stewardship of the environment. More to your point though, soapberry trees are pretty hardy beasts which don't require a lot of human intervention nor do they exact much if any toll on the ecosystem, so we don't anticipate problems in supply or collateral damage should we hit the big time. Hi all. I have to pick up my daughter from school around the corner. Back in 10 minutes. Do you think this would be suitable for washing heavily soiled items like cloth diapers, items with lots of motor oil and engine grease? @ bluberri5 Hi Blueberri. Berryplus rocks on cloth diapers, but we recommend that you wash them in warm or hot water. For motor oil and other tough stains, please try pre-treating them with a few drops of Berryplus and then leave them sit for a few minutes. All of that said, there are some stains that just won't come out unless you bathe them in toxic chemicals. Same with bleach: if you want your bed sheets or shirts to be glacial white and glow, you are going to need to use bleach, in which case we prefer an oxygen rather than chlorine bleach, because they work just as well but are far safer. So, yes Berryplus will work on tough stains like your describe, but you may need to apply a little more care before hand, and some bleach as said. Cheers. Will this work in high efficiency washers? @ Carrie HI Carrie. Thanks for chiming in. Yes, Berryplus works in HE machines and helps to protect your machines because it is water based, so it will never leave any residue, which is the curse of HE machines. In fact we designed Berryplus for HE machines and cold water washing, but the fact is that it works wonderfully in any type of machine and at any temperature. Cheers, and thanks for asking. I just finished reading everything posted here. Friday is payday. I will be ordering. Can hardly wait to try it ! Hi everyone. Have to sign off for a bit to cook dinner (I am the cook in the family), but please keep asking questions and I will get back to you after dinner asap. Cheers, and thanks for coming to our party. How does this marvelous product work with high-efficiency front loading washers? @clint Hi Clint. Marvelously :) Berryplus was designed for HE machines, although it works too in top loaders. What is the smell or scent? @ Nancy C. Hi Nancy. Berryplus is fragrance free, so your clothes will come out without any scent. However, when you open the bottle, Berryplus will have a fruity scent, sort of like well berries, but that scent will not come out on your clothes. My daughter will be traveling to Europe for about 3 weeks. Is the travel size bottle airline-acceptable? @ Paula Hi Paula. Yes, our 20 load bottle is 55 mls or just under 2 oz, so you can carry it in your purse or carry-on without any problems. Safe travels! It’s hard to believe a container the size of salad dressing can hold enough detergent for 80 loads of laundry. It’s also hard to believe the main ingredient in the detergent comes from a tree. Once you get your head around those two facts, it’s easy to imagine trading your old brand of detergent for an all-natural alternative: Berryplus. The main ingredient in Berryplus is concentrated saponin, which is derived from the Sapindus mukorossi tree. Sapindus trees grow soapberries which, when combined with water and shaken, create a sudsy cleanser that has been used to launder clothes in India and other parts of Asia for centuries. The creator of Berryplus is Jamie Gold, an eco-enthusiast and former lawyer who’s committed to changing the way we think about laundry. Jamie’s Berryplus solution is free of pollutants, allergens, and any toxic or unnecessary ingredients. The bulk of the formula (95%) is berries and water. The remainder is 4.5% vegetable glycerin for stability and added softening; 0.3% olive-leaf extract to kill bacteria; and 0.1% each of food-grade potassium sorbate and sodium benzoate preservatives.